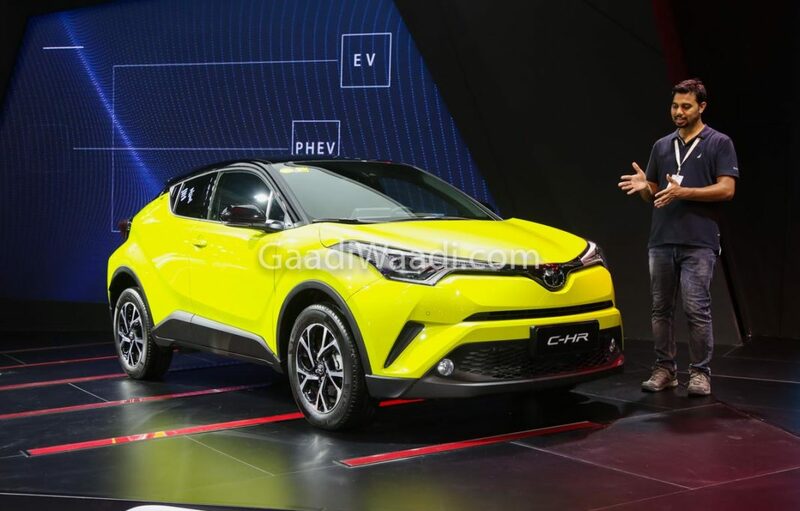 Toyota first showcased the CH-R at the 2017 Paris Motor Show. 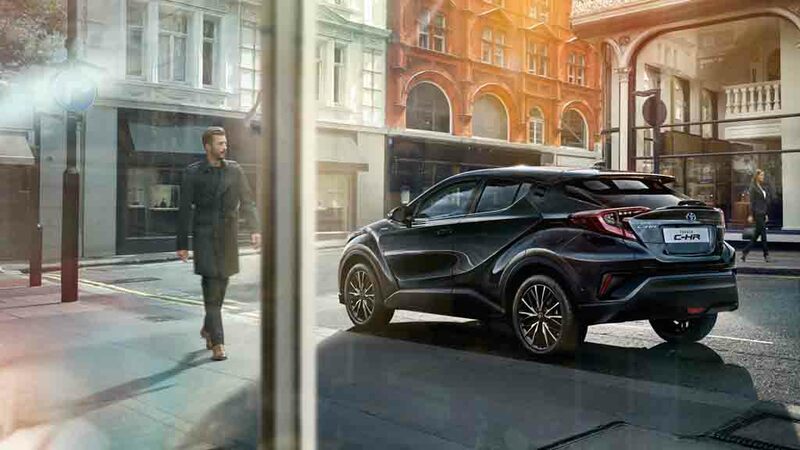 By now, the crossover has won a lot of critical acclaim for its new-gen architecture and modern design. 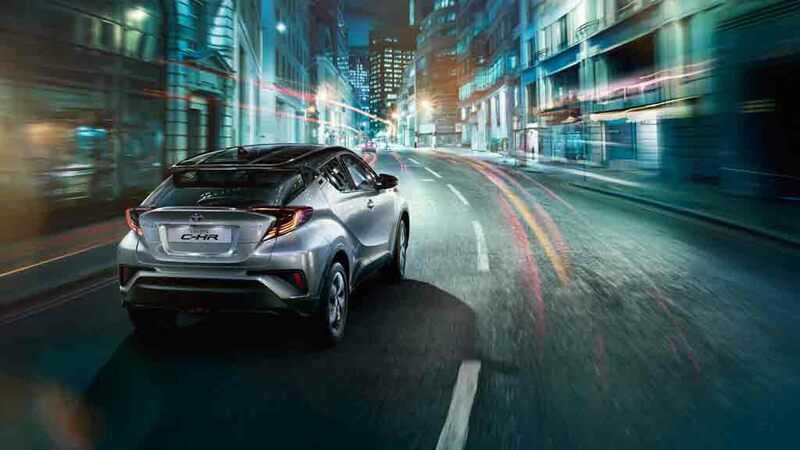 The C-HR is based on the company’s TNGA platform, which underpins many new products from the company. It looks much like its concept avatar. 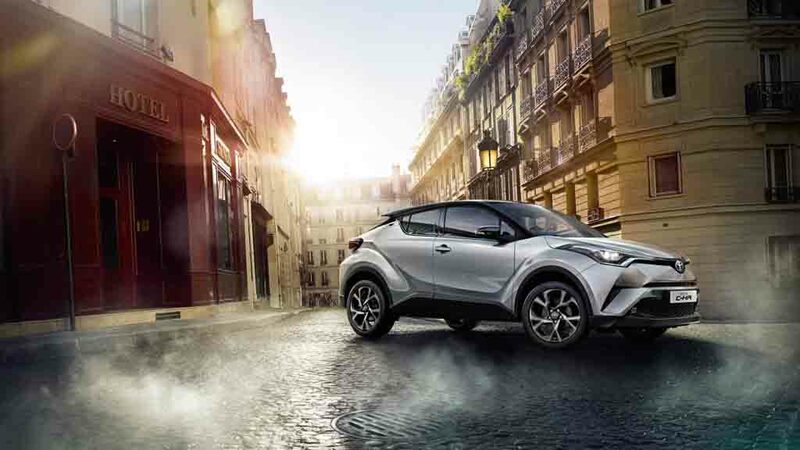 The Toyota CH-R is India-bound and will launch here with a 1.8-litre petrol hybrid engine. 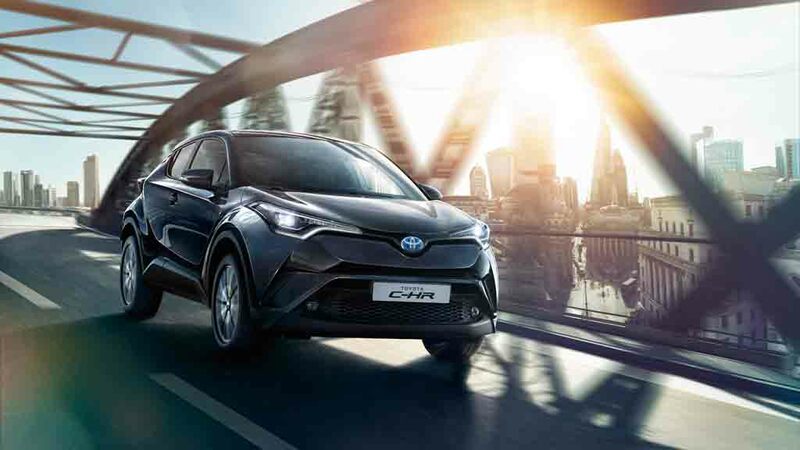 The hybrid powerplant for the Toyota CH-R comprises of a 1.8 L petrol engine with 98 PS of power and 142 Nm of torque along with an electric motor that outputs 72 PS and 163 Nm. 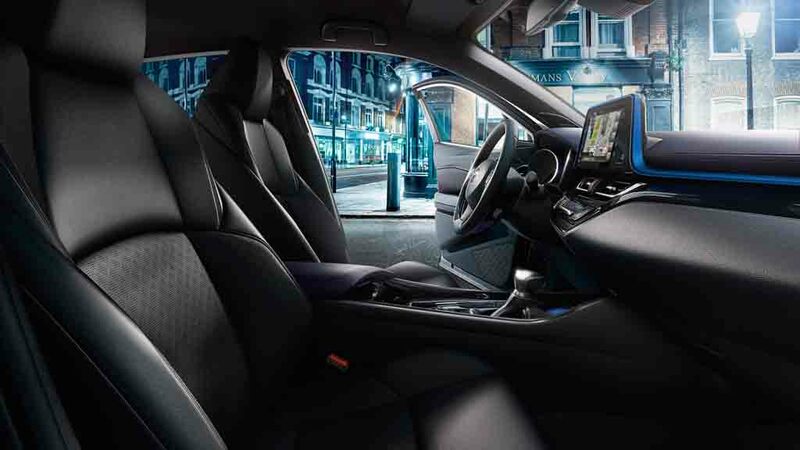 All the power is sent to the front wheels of the SUV through a CVT automatic gearbox. 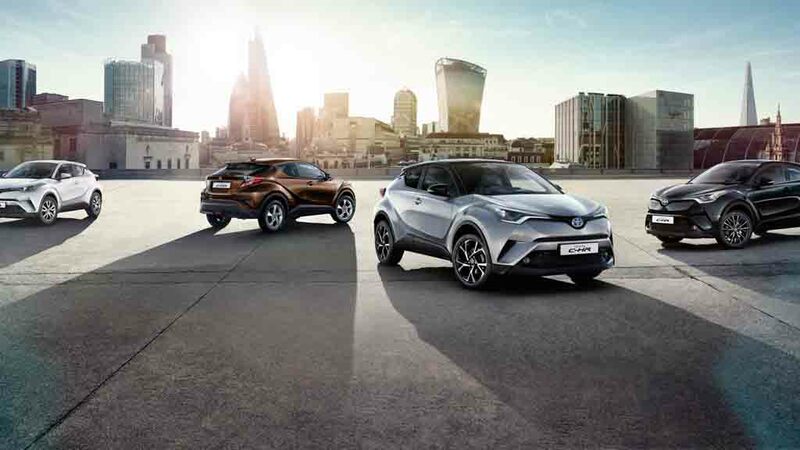 The C-HR is also available with an all-wheel-drive system in select markets. 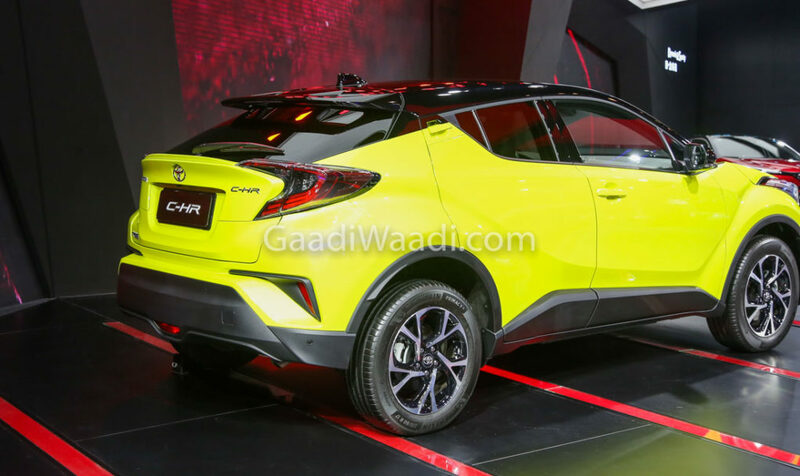 In India, the C-HR should launch by 2020. 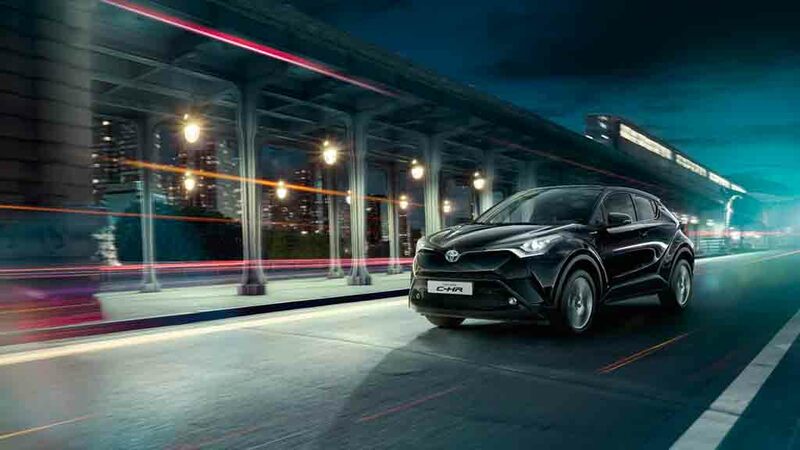 The Toyota CH-R looks very modern and sports a highly attractive design. At the front-end, it gets sharply styled projector headlamps. The lower half of the front bumper has a black paint colour owing to its plastic cladding. The same cladding runs across the lower section of the body. 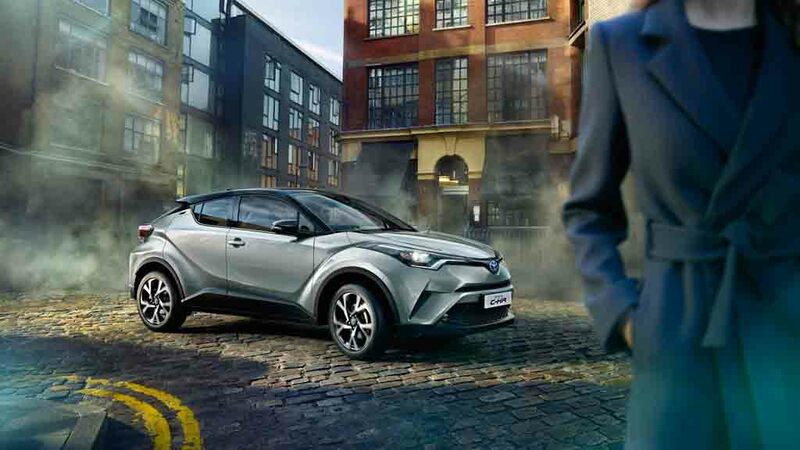 The side gets flared wheel arches and stylish alloy wheels. 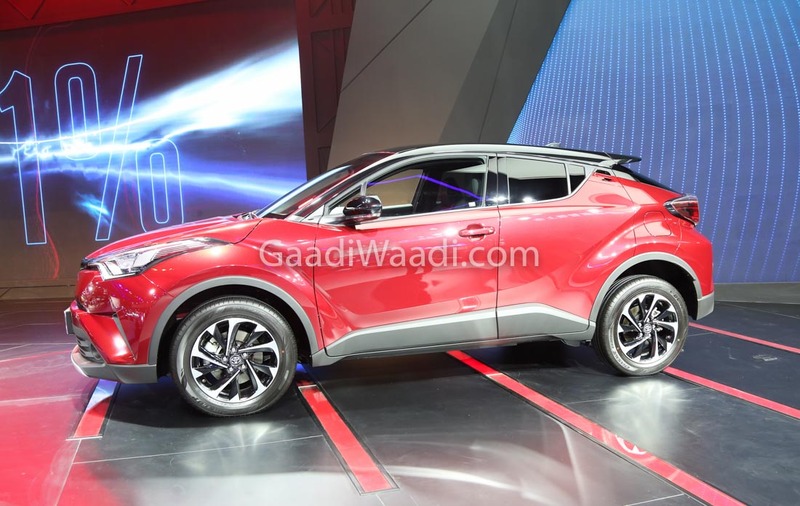 At the rear, the Toyota CH-R gets C-shaped LED tail-lamps and an integrated spoiler. Both these elements lend a very dynamic look to the posterior. 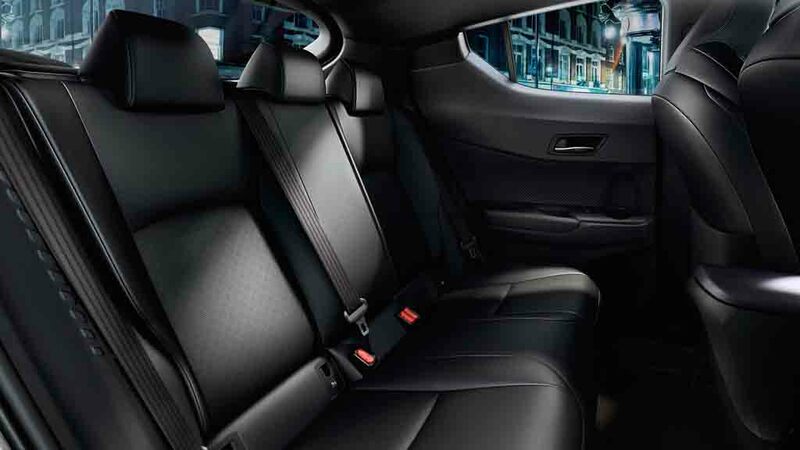 The modern design theme continues to the inside of the SUV. 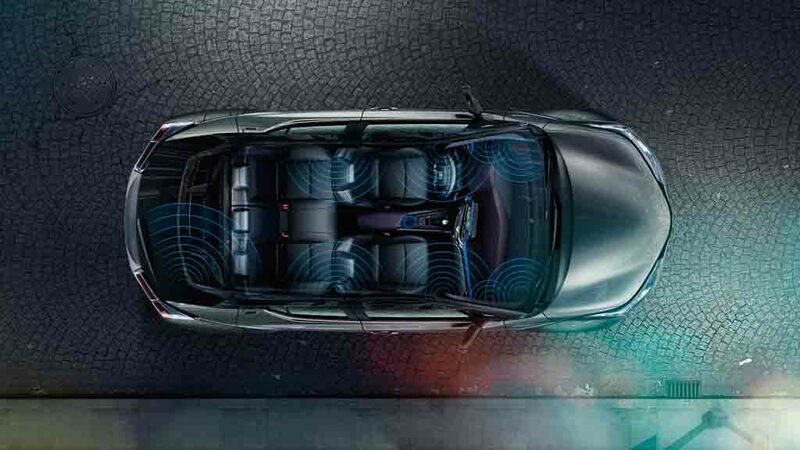 The CH-R gets a three-spoke steering wheel. 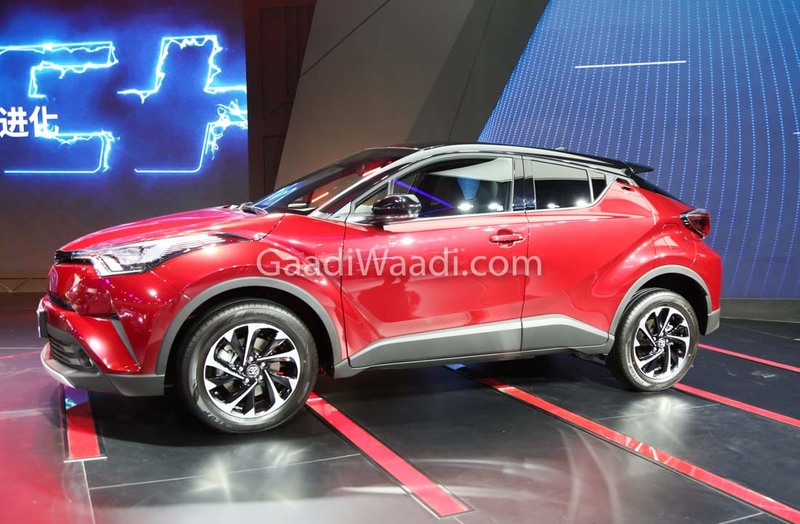 The India-bound SUV has a wheelbase of 2,640 mm. 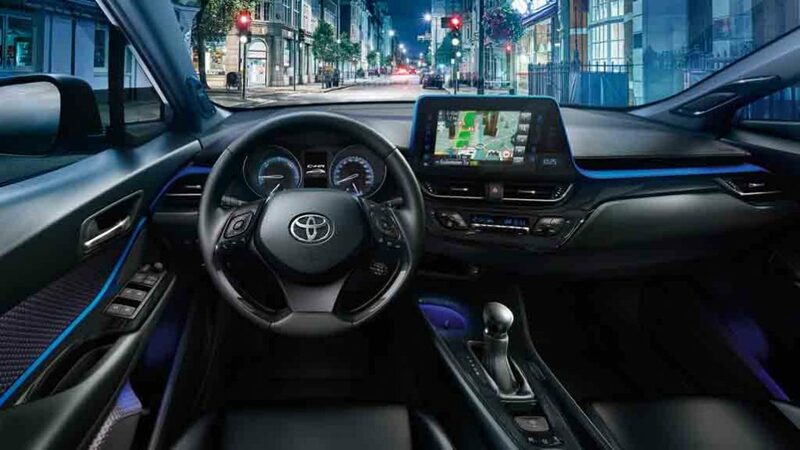 The design of the dashboard seems to have taken inspiration from the Lexus NX. It sports an 8-inch touchscreen infotainment unit that supports Bluetooth, USB, and Aux-IN. Apple CarPlay and Android Auto are not supported by this system. 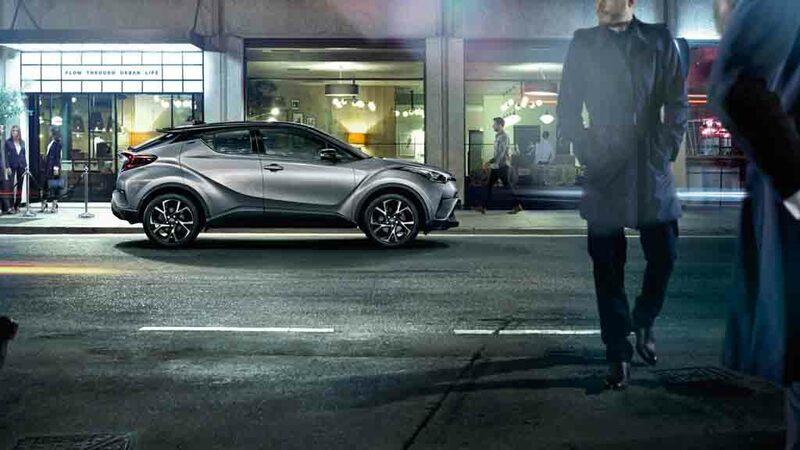 Other features that the C-HR gets include cruise control, leather seats, push-button start, keyless entry, and reverse sensors and camera. 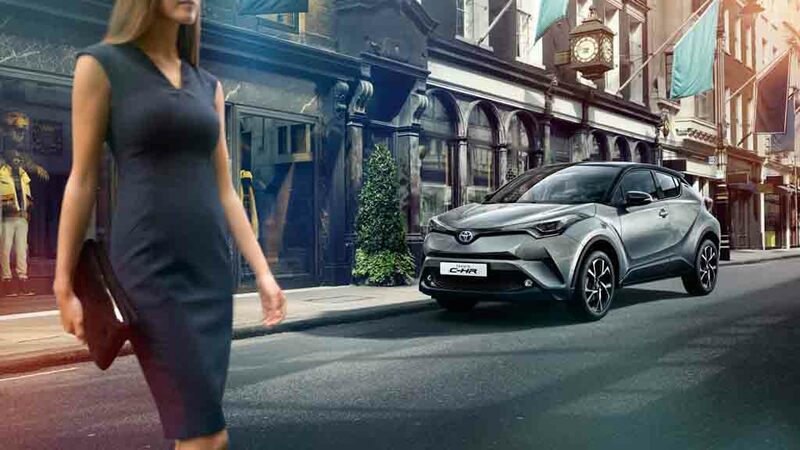 Safety features on offer include Lane Departure Alert, Automatic High Beam, Adaptive Cruise Control, Pre-Collision System with pedestrian warning and Road Sign Assist.